I needed a birthday present for some adorable 4 year olds. I had a drop cloth that I have been meaning to use for a while. All I did was eyeball how tall I wanted it about 15" hight. Then again eyeballed the curve for the arms. 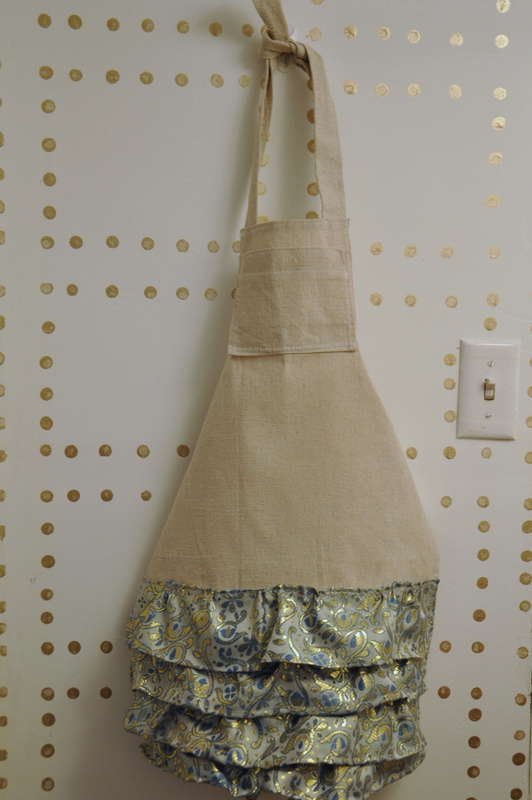 Ended up being about 5" down The top of the apron I did 2.5" centered. 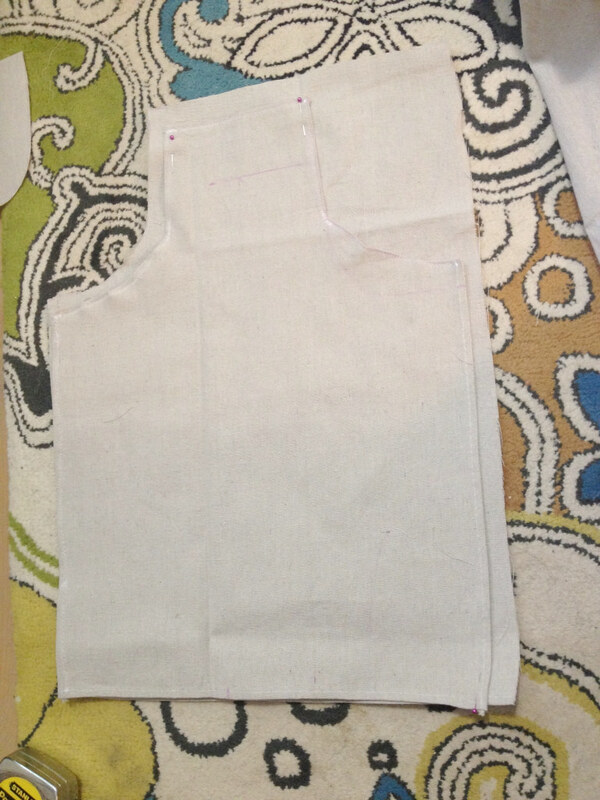 So all I did was fold over the apron, traced the curve and width of the top. Now the top was 5" wide. 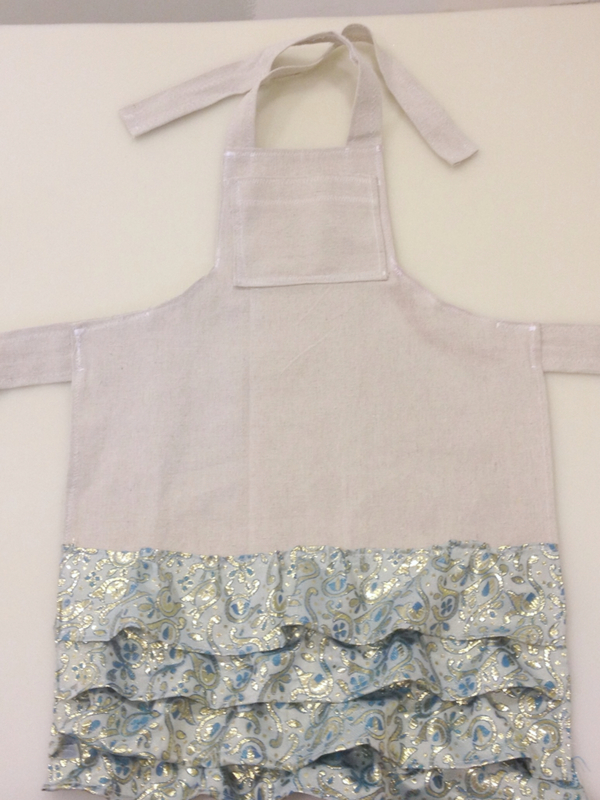 To make the second apron, I just used the first as my template. I sewed up all the edges. A server would have been much more helpful. Then I made 4 rows of ruffles, using the directions from here. Basically, I sewed a loose straight stitch across the top. 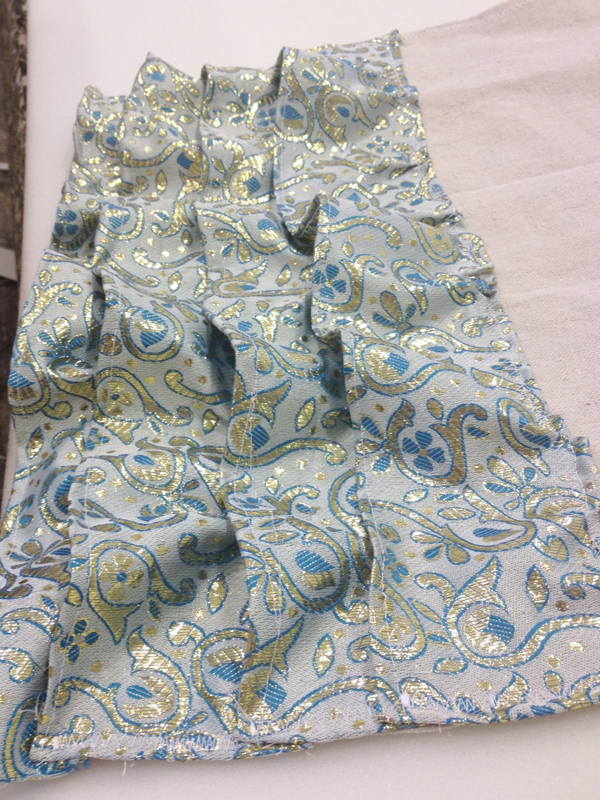 And then pulled the bottom thread so it scrunched the fabric together. Then pinned it across the bottom. 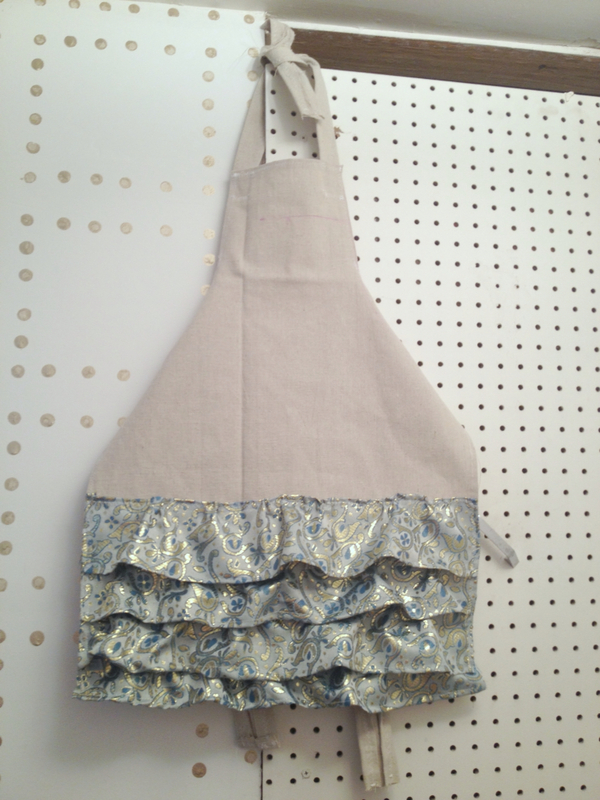 And zig zag stitched them on the apron. I sewed the ruffles down along the outside edges. 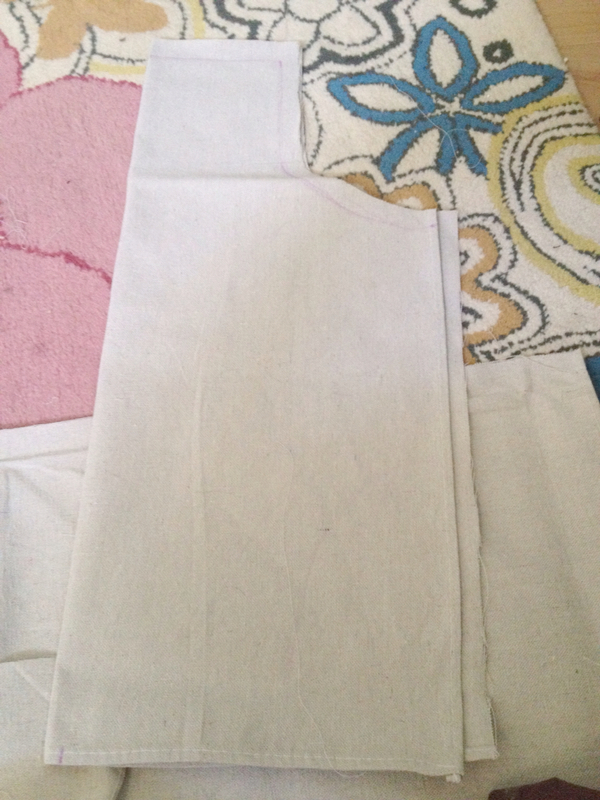 Made some simple 1" strips from the drop cloth, sewed them to the tops and sides. Made a simple square pocket for the from top.... I do not claim to be a seamstress and 4 year olds are usually pretty easy to please. Made out of material I already had at home, I'm pretty pleased with how they turned out.